Request Green Planet's Tree & Shrub Care Program and get the most out of your landscape. Your trees and shrubs were a landscape investment so protect your investment with our valuable tree and shrub care program. 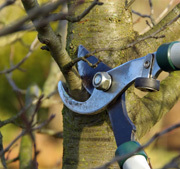 Call now and our qualified staff can tailor a tree and shrub application program that best suits your landscape needs. Our Tree & Shrub Program is designed to maintain a more colorful, lush landscape free from insects and disease. Deep root fertilizer – promotes lush colorful foliage. Insect and disease control - controls damage causing insects and disease. Insect and disease control – controls damage causing insects and disease. Deep root fertilizer – feeds your plants root system to help survive the winter. Dormant oil – smothers overwintering insect eggs.